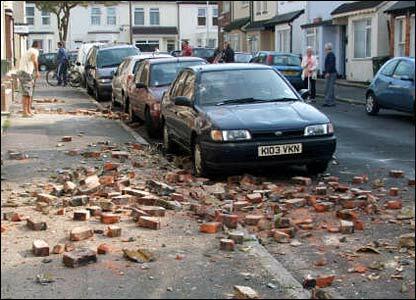 You sent your pictures of the damage caused by the earthquake in Kent. 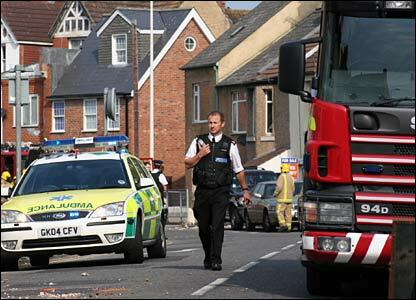 Lawrence Arnold sent this image of emergency services in Black Bull Road in Folkestone. 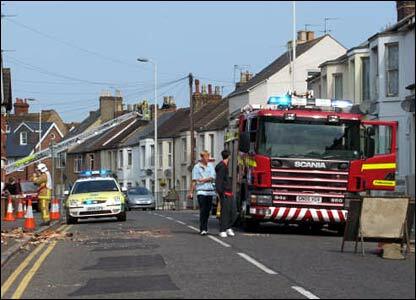 Zenon Warman took this picture of the centre of Folkestone just after the quake struck. 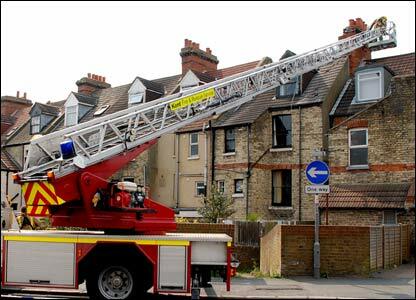 Another picture from Zenon Warman of the centre of Folkestone. Jean Cutting took this picture of the Radnor Park Area of Folkestone. 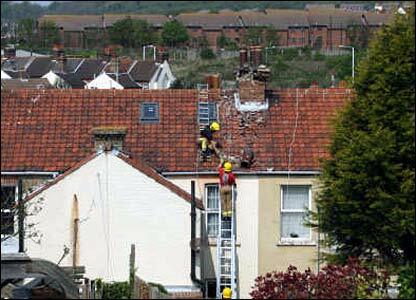 Photography student Joe Nichols took this image of firefighters dealing with quake damage in Folkestone. 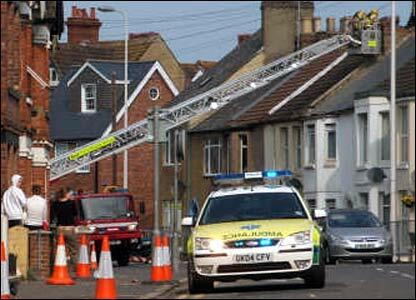 Joe Nichols took this photograph of a firefighter removing a damaged chimney stack in Folkestone. 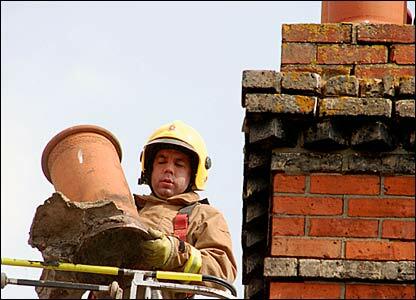 Ashley Tanton took this picture of firefighters attending to a damaged chimney stack. 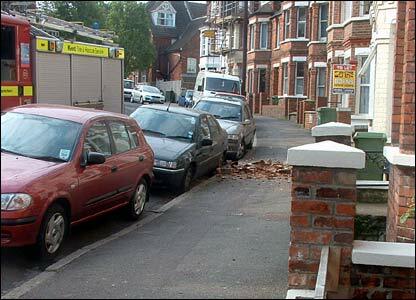 Zenon Warman took this picture of fallen bricks in Folkestone. 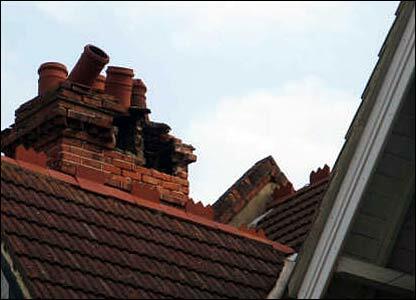 Zenon Warman also sent this image of another damaged chimney stack in Folkestone after the quake. 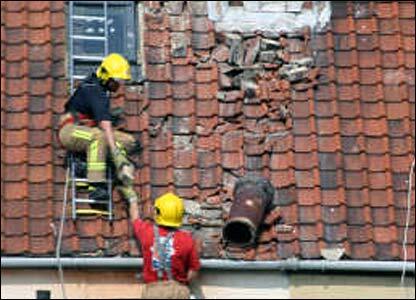 Arthur Atkins took this picture of Kent firefighters taking down a dangerous chimney stack in Penfold Road in Folkestone. 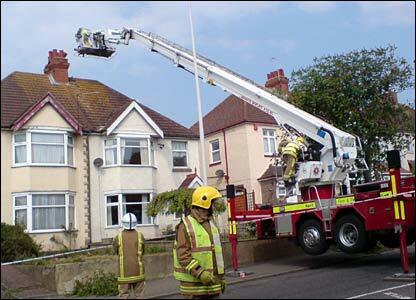 Close up picture of Kent firefighters removing chimney stack taken by Arthur Atkins. If you have any pictures you can send them to yourpics@bbc.co.uk.